Sea with Wave and Shells on Sand. 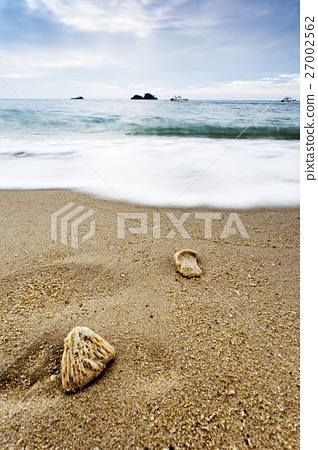 Stock Photo: Sea with Wave and Shells on Sand. Sea with Wave and Shells on Sand. Boats on Background.